We know how the “great Australian dream” feels – the heartfelt desire to own your own home, on your own piece of special land, with space to grow and make memories with your family and friends that will last a lifetime. Kingston has an established history dating back to the early 1800’s when the land was first purchased by the Messer family. Used as a cattle farm over the decades until the boom of the Australian sugar cane industry in the late 1940’s, the Messer family have always called this land, in the heart of Hervey Bay, home. Today Kingston’s proud heritage is preserved within the surrounding streets, many of which are named after members of the Messer family that had worked these fields. This master planned development provides for 150 larger than average city residential allotments alongside parklands, a tree lined natural waterway, recreational area with BBQ picnic facilities and fitness equipment for you and your family to enjoy. The Estate maintains beautiful vistas of open spaces and historic buildings host to old style farmer’s markets that capture the traditional market culture. 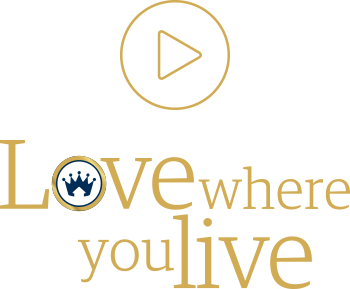 At Kingston we’re about getting back to the simpler style of living with a bigger way of life, with that very simple goal... Love Where You Live.